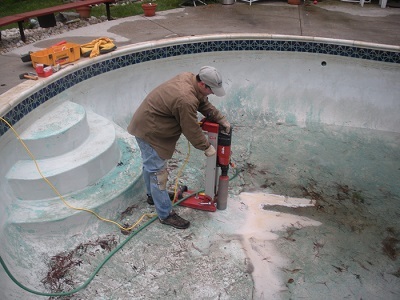 Core drilling in the side of the pool wall to install new pool pipes. 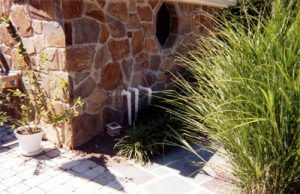 Thank you for doing such a superb job and for your outstanding professionalism. 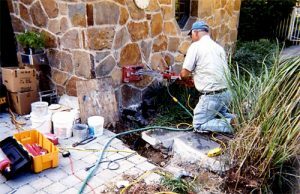 We shall eagerly recommend your service. 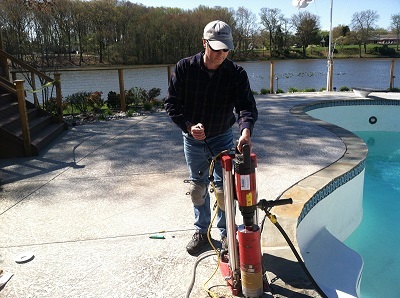 Core drilling to release hydrostatic water pressure under a pool. 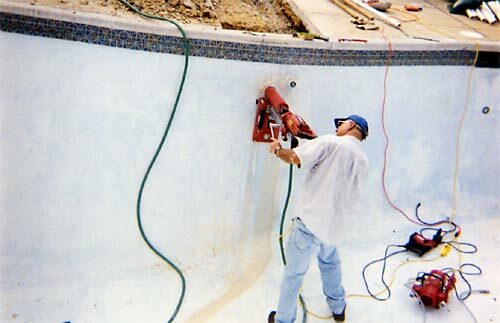 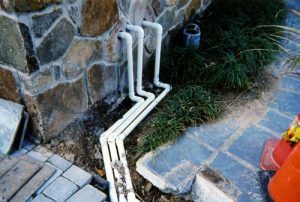 A pool with a high water table needs a hydrostatic plug to release underground water pressure on the pool shell. 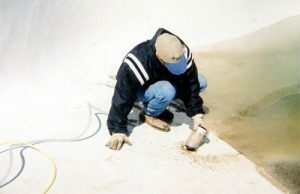 This picture shows a removable hydrostatic plug installed.